A U.S. soldier sits on his armored vehicle on a road in Manbij, April 4, 2018. As voices opposing U.S. President Donald Trump's decision to pull out of Syria continue to mount in a bid to delay the withdrawal process, officials in Ankara want Washington to take up a clear-cut position. A report issued Monday by the U.S. Department of Defense warned that Daesh could make a comeback within six to 12 months if U.S. forces withdraw from the country without proper planning. It stressed that the terrorist group continues to attract dozens of foreign fighters to Syria and Iraq each month, and maintains a flow of external donations. "[Daesh] remains a potent force of battle-hardened and well-disciplined fighters that 'could likely resurge in Syria' in the absence of continued counterterrorism pressure," the report said. It also added that in both Syria and Iraq, local forces remain heavily reliant on support from the U.S.-led coalition, implying that the withdrawal of American troops may lead to bitter consequences for the region if precautionary steps are not taken. In December 2018, Trump announced that the U.S. will withdraw its troops from Syria and because the only reason for Washington's military existence in Syria was to defeat Daesh, which he said has been accomplished. Trump's swift decision sparked the resignation of his former Defense Secretary Jim Mattis and has raised a wide range of criticism. Different circles in the White House claimed that Syria would be a grave mistake and will lead to the revival of Daesh; while numerous media outlets regarded the decision as a "betrayal" to the long-supported Syrian Democratic Forces (SDF), which are dominated by PKK-affiliated People's Protection Units (YPG). In relation to the issue, President Recep Tayyip Erdoğan said Sunday he is confident that Trump will keep his promise of withdrawal in the shortest time possible. "Some are trying to provoke a situation in the region, and this prolongs the withdrawal process," he said in a televised interview. Last month, Foreign Minister Mevlüt Çavuşoğlu said the head of the U.S. security forces is trying to undermine Trump's decision. "Washington-Ankara coordination is necessary to prevent other actors' attempts to fill the vacuum left by the U.S.," Ömer Özkızılcık, an analyst at the Foundation for Political, Economic and Social Research (SETA), told Daily Sabah. Despite some dissent voices disapproving the pullout, the Trump administration is continuing with the implementation of the withdrawal plan on the ground. As matter of fact, many are criticizing the critiques the decision by saying that they are opposing the pullout only for the sake of opposing without providing an alternative to the U.S. role in Syria. Dough Bandow, an academic specializing in foreign policy, wrote in the U.S.-based National Interest in January that Trump's Syria critics are wrong, adding that the U.S. is "illegally occupying roughly one-third of another country, to defend an unofficial group in a civil war" against a neighboring nation, Turkey. Touching on the groups in the White House that criticized Trump's decision, Ahmet Kasım Han, a professor at Altınbaş University, previously told Daily Sabah that people expressing support for the YPG in the country originally come from the Pentagon and U.S. Central Command (CENTCOM). There have been reports suggesting a divergence in the Turkey strategy of the U.S. military factions of CENTCOM, which is in charge of military actions in the Middle East, and European Command (EUCOM), who is responsible for military relations with Turkey. Matthew Bryza, a former ambassador and U.S. deputy secretary of state, previously told Daily Sabah that while EUCOM wants to be as close to Turkey as possible, CENTCOM is suspicious of Turkey. "Patterns of the latter's cooperation with the YPG resulted from what it believes that Turkey was not eager to contribute to the fight against Daesh, but Turkey was willing to fight," he said. The Republican-led U.S. Senate also backed symbolic legislation on Monday, acknowledging that Daesh continues to pose a "serious threat" to Washington and "the precipitous withdrawal could put at risk hard-won gains and United States national security." It also called on the Trump administration to certify conditions for the groups' "enduring defeat" before any significant withdrawal from Syria or Afghanistan. Other remarks opposing Trump's decision came from State Department spokesman Robert Palladino. He said, "Despite the liberation of [Daesh]-held territory in Iraq and Syria, [Daesh] remains a significant terrorist threat, and collective action is imperative to address this shared international security challenge." Palladino also called on other nations to repatriate and prosecute citizens detained by the SDF and commended the continued efforts of the SDF to return these foreign terrorist fighters to their countries of origin. The close U.S. partnership with the YPG since President Barack Obama's administration has been always a sticking point in Washington-Ankara relations. Turkey sees the YPG as an extension of the PKK - a terrorist group that has claimed the lives of more than 40,000 people in the last 30 years in Turkey. The U.S., however, while listing the PKK as a terrorist group, has opted to continue its steadfast military support for the YPG terrorist group under the pretext of fighting Daesh, despite warnings from Ankara. In a bid to respond to Ankara's security concerns, President Erdoğan and Trump discussed the possibility of setting up a 32-kilometer-wide safe zone, free of all terrorist elements, including the YPG, along the Syrian-Turkish border after Washington's withdrawal. Ankara has been also underscoring that the safe zone should be administrated by Turkey to ensure full elimination of security concerns. However, Erdoğan said yesterday in a parliamentary meeting, "There has been no satisfactory plan on the safe zone in northern Syria put before us yet," adding that Ankara's patience is running thin. Since 2012, Erdoğan has been suggesting that a safe zone of 30-40 kilometers could be established between the northern Syrian towns of Jarablus and al-Rai. Many pundits underscored that some circles within the U.S. administration are attempting to transform the safe zone plan into a buffer zone designed to shelter YPG militants. Regarding Turkey's agreement with the U.S. on Manbij in northern Syria, Erdoğan said, "We are done waiting, if the YPG terrorists do not leave Syria's Manbij in the next few weeks." The SDF, which is dominated by the YPG terrorist group, has been in control of Manbij since August 2016 when they ousted Daesh terrorists who had captured the town from moderate opposition groups in January 2014. 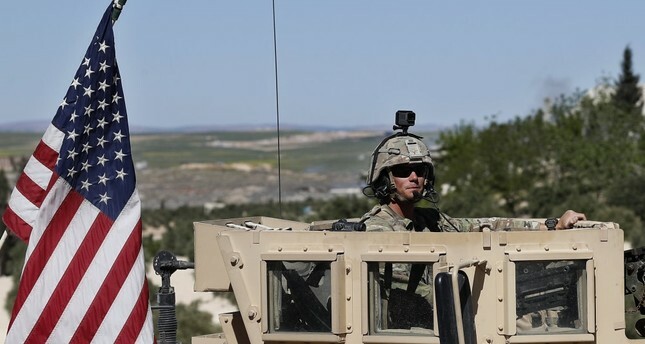 In June, Turkey and the U.S. reached a deal to end the YPG presence in Manbij, but Washington has been slow to keep its commitment, despite the initial 90-day timetable that was agreed upon. Turkey was prepared to launch an operation east of the Euphrates to eliminate the YPG; however, following the U.S.' decision to withdraw its troops from Syria, Ankara decided to put the operation on hold temporarily.